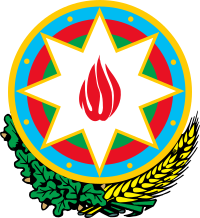 The Bar Association of the Republic of Azerbaijan is a non-governmental, independent, self-regulating organization including all lawyers and established for non-profit purposes. The Bar Association of the Republic of Azerbaijan is the legal successor of the Bar Association, which operated under the "Regulations on the Advocacy of the Azerbaijan SSR", approved by the Law of the Azerbaijan SSR dated November 13, 1980. The main objective of the Bar Association of the Republic of Azerbaijan is to protect the rights and freedoms of every person, protected by law, to provide them with professional, high quality, honest legal assistance and to enhance the prestige of the legal profession. The organization and activity of the Bar Association of the Republic of Azerbaijan is governed by the Law of the Republic of Azerbaijan on “Lawyers and Lawyers activity” and the Charter of the Bar Association approved by it. At present, the total number of Bar members is 1503. The amount of lawyers in the regions is 393, 143 out of them are engaged as individual lawyers. The amount of lawyers in the capital is 1110, 105 out of them are engaged as individual lawyers. There are 27 law offices in Baku and 15 in regions. With regard to the dynamics of the of lawyers, while the new Bar Association was established, the number of lawyers was 370 as of November 2004.The number of persons admitted in 2005 was 151 (126 from 359 candidates were admitted to membership upon passing profession exams). In 2006, the number of admissions was 24, 235 in 2007 (235 from 441 candidates admitted), 27 in 2008, 71 in 2009 (67 from 506 candidates admitted), 15 in 2010, 9 in 2011, 121 in 2012 (122 from 531candidates admitted), 12 in 2013, 149 in 2014, 12 in 2015, 22 in 2016, and 17 in 2017.